Fruit native from the Peruvian Amazon rainforest. 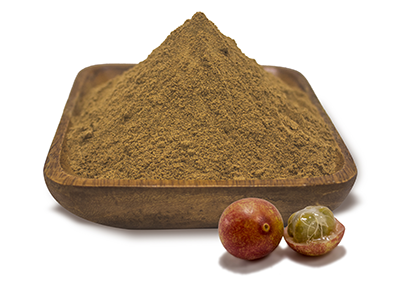 Whole camu camu berries are dehydrated at low temperatures and then milled into a fine powder. Highest vitamin C content of all fruits in the world. With juices, smoothies, water, yogurts & granolas. Great antioxidant power and provides immune system support.